Education is a sector that is just as important as healthcare and finance, and there are lots of areas within this sector that could be improved using technology. The market for edtech is growing quickly, and is estimated to reach $93.76 billion globally by 2020. Already, tools like virtual reality and personalized learning with artificial intelligence are helping to improve learning outcomes for students at all levels.Smart classrooms aren’t too far off, and blockchain technology may become an integral part of schools all over the globe in a few years. But how will this system help administrators and students? To understand the potential impact of blockchain in the education system and predict how this technology will impact teachers and students, it’s helpful to know how other sectors have used it to improve their processes—and how schools might one day follow in their footsteps. Banks and Hospitals Paving the Way for Better School Security Globally, people are understandably worried about their privacy and the security of their data. Parents are especially protective of their children’s data, and schools have to take the threat of data breaches seriously as online records become more common every year. Banks and financial institutions are understandably security-focused, and have been pioneers in using blockchain technology. Although the process of updating the blockchain’s distributed ledger can be slow, it is much faster than many other digital means of transferring value.In healthcare, blockchains are being used to help reduce the impact of cybercrime and data theft in the industry. An astounding 1 out of every 4 breaches targets the healthcare sector, affecting 1 in 13 patients in the United States. Healthcare data is extremely valuable to hackers because it is so personal, permanent, and detailed. To help fight off cybercriminals, many healthcare organizations and insurers are either using or considering using blockchain technology. The transparency of the system, combined with the fact that nothing is truly deleted, makes it much more difficult to steal patient data undetected.Security Concerns and Degree Verification on College CampusesUnfortunately, education isn’t far behind finance and healthcare when it comes to data breaches. After these two industries, education experienced the most data breaches of any sector in 2017, making up 13% of all breaches. 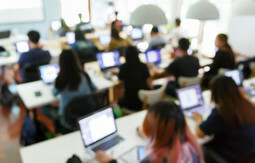 Student data, although it might seem worthless since most young children and teens have limited financial information, is actually becoming a hot commodity among cybercriminals. Security and verification are becoming a major concern both on college campuses and after students leave to enter the workforce. Data breaches target student records and steal information that can be used to create fake identities or be sold by hackers. Protecting records with the blockchain could make these attacks ineffective, protecting students’ identities and school records. As more schools from kindergarten to university go digital, this could be key in ensuring student privacy. Employing blockchain security protocols in higher education has its other uses as well—namely defending employers against people who claim to have a degree, but really don’t. Unfortunately, people have been known to lie about their degrees and qualifications to employers, claims that are difficult (if not impossible) to verify under current systems. When students enter the workforce, blockchain could also be used to help assure employers that potential candidates fresh out of school have the qualifications that they claim on their resume, by storing that information in a secure ledger. Potential Uses for Blockchain Technology in the Education SectorBy looking to other industries that currently use blockchain technology, we can start to make predictions about how these networks could be used in an educational setting. While the number of potential uses in education is very large, there are a few that are the most exciting.Test Prep and LearningRussian platform Disciplina is the first platform to harness the power of blockchain technology solely for education and recruiting. TeachMePlease, one of the Disciplina applications, is a higher education marketplace, bringing teachers and students together.Another blockchain platform that’s emerging in this space is Opet Foundation’s chatbot app to help students with test prep. It answers questions and recommends resources while keeping track of student progress in the blockchain. 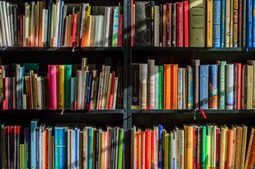 Library and Information ServicesBecause it is easier to keep track of and store information, the blockchain could be used to enhance library and information services in schools. 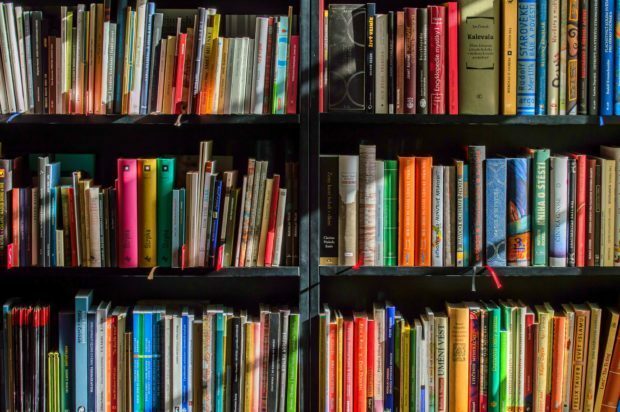 Though few libraries have started experimenting with blockchain technology, at least one school has received a substantial grant to begin the discovery process. Getting students to school is an important part of educating them. In the future, ridesharing apps resting on blockchain technology could be used to organize carpools for students with special needs. This will be particularly important as roadways become more congested and carpooling becomes a necessity. Using the blockchain in this way would also take the burden off of parents and ensure that all children get the safe transportation they need. Francisco Gimeno - BC Analyst New technologies are converging very fast changing the world as it is. Education sector is going to be one of those which will have to change its ways in order to prepare new generations to live in this new 4th IR's world, and it is unavoidable. Blockchain applied to school, students and teachers' data, school transport or school meals in blockchain are just the easier ideas we can think, but in few years we will witness endless applications applied to education which we can't even imagine now. Many people think blockchain only in monetary and business terms, but they don't grasp yet the disruptive and revolutionary consequences of its use some sectors.